"Good fences make good neighbors" At Caveman Fence we make "Good Neighbors" everyday! Good fences make good neighbors. At Caveman Fence, we make good neighbors every day. 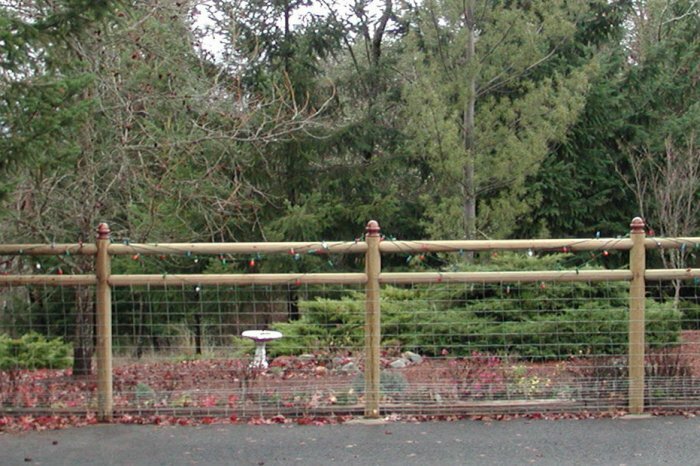 Caveman Fence has just what you need to keep your outdoor spaces functional, beautiful and secure. 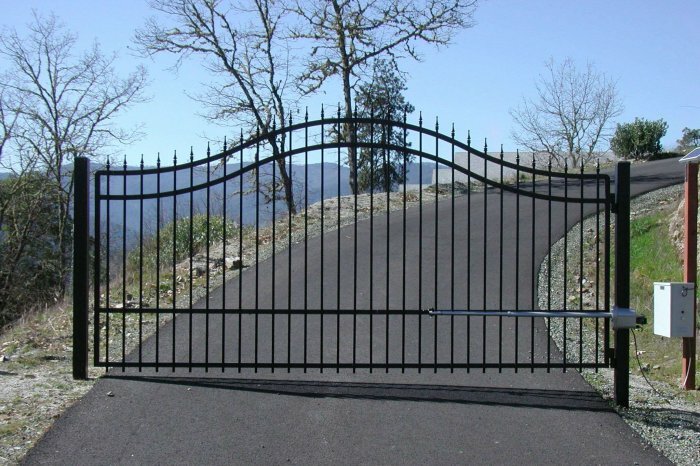 Our fences and gates are built to your specifications, and your satisfaction is paramount in all we do. 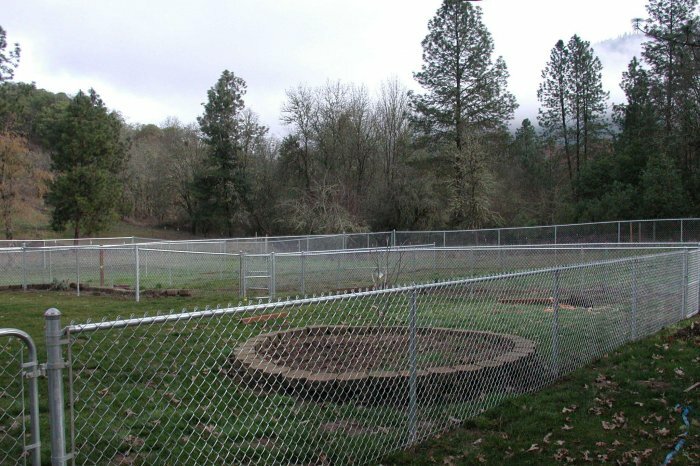 Locally owned and operated, Caveman Fence has been building high-quality fences and making great neighbors in Grants Pass, Oregon for over 18 years. Our friendly and professional crews take pride in each and every project and bring personalized attention and top-notch service every step of the way. Nearly two decades of satisfied customers and a wide variety of custom designs to choose from are the hallmarks of Caveman Fence. We are your neighbors, so bring us your questions. 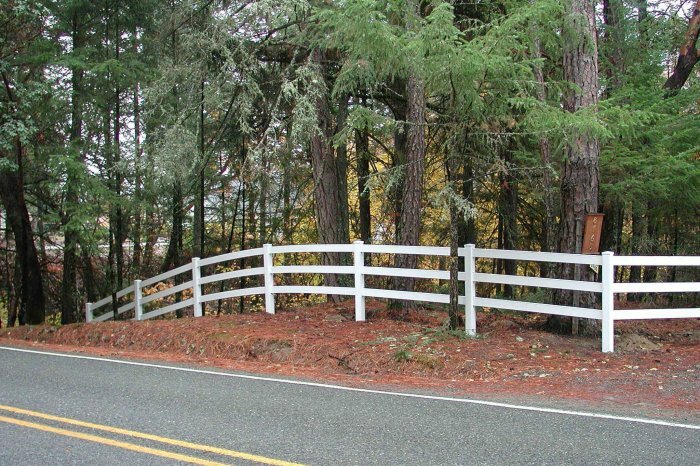 We love talking fences! Call for your free estimate today. Thank you so much for the beautiful job you have done for us. The fence and the gates look so nice when you drive up the hill. I must say it sure dresses up the place. Now I really have to get to work on the landscaping, barn , pasture and the rest of the projects. Wish me luck on selling this home so I can move to Eagle Point! And get started. Please keep in touch as we don’t want to lose contact with you. Again , thank you so much. Many thanks for your quick response to fix our gate. We appreciate your attitude, price and quality. We would certainly use your company for any further work and will definitely recommend you. We put a good word for you on Angies List. 3)	Provide friendly and informative services to someone who had purchased their system from one of his competitors. Competitors who still have not returned our call. Alan, when anyone ever asks or needs a recommendation as far as any fencing needs in the future Caveman Fence will be our #1 choice. As far as any of our family goes , our business will be with Caveman Fence from here on. Thanks again and , Have a Happy New Year !! It has been my pleasure to have hired Caveman Fence under the leadership of Alan Sippola to fence and gate my property. Alan and his team have displayed the work ethic necessary to ensure total customer satisfaction. From start to finish Alan’s property estimates, start times and product quality have been first rate. Alan always finishes his projects as stated in the contract and usually below the estimated cost. Alan’s team treats your property like it was their own. They are careful not to disturb plants, trees and grounds. They clean up their mess and then some. The work crews are polite and professional. Foul language is never heard and they love pets. Alan is straight forward on his bids and makes every effort to ensure you are a satisfied customer. He works with you so your fencing needs are totally met. I Strongly recommend Alan Sippola and his team for your fencing needs. 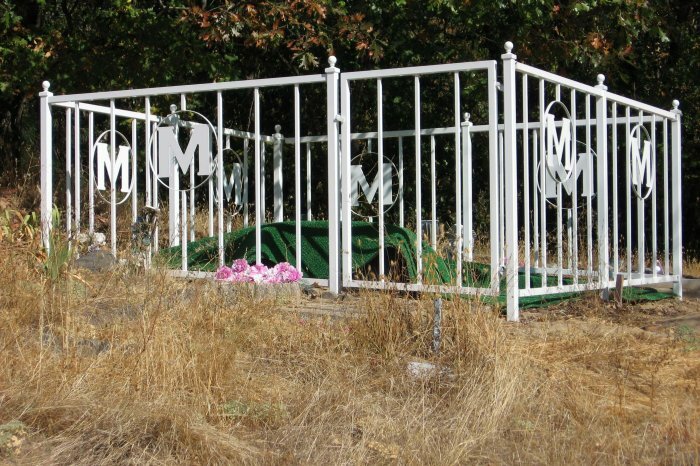 I write to thank you again for the wonderful job your company did on designing and constructing our cross-fencing. It’s stylish, very well-designed and extremely functional. It totally achieves our purpose in keeping our dogs out of the main-drive area. It was worth every single cent and let me say also that it was reasonably priced! I also want to thank you doubly for coming to our “rescue” two weekends ago in keeping our big puppy out of the irrigation-ditch and preventing him from getting through the culvert to the other side of the fence. Your quick thinking and willingness to come out to our house early on Saturday morning was more appreciated than I could possible tell you. You are not only a terrific crafts person but a friend as well!! Thank you for going above and beyond for us! 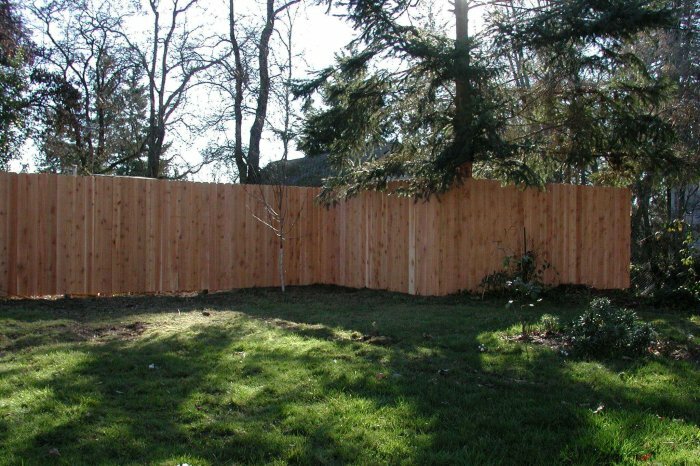 We recommend you and Caveman Fence every chance we get! We want to let you know how pleased we are with our new fence and electric gate. The men who did the installation were very prompt , courteous and well trained. They answered all of our questions and explained how to use the electric gate. They cleaned up the whole area when finished. Thank you Caveman Fence for the job. Well Done! !